parasite – Dr. Elva Edwards, D.C.
As we visit with family this holiday season, please remember that the CDC says genetics only account for 10% of diseases. I hear people say, “well my mom had this disease and I am afraid I will.” Or something like, “she is bound to be ___ with her genetics.” That is simply not so. Ninety percent of disease is due to environmental issues. This is not my idea, but backed up by research. I like that because we can control our environment a lot more than we can control our genetics. Likely culprits in the environment are virus, bacteria, parasites, heavy metals, all kinds of environmental chemicals like pesticides and herbicides. Don’t forget the psychological stress of difficulties in life or the stress of poverty. The list gets longer with dietary indiscretions and lifestyle issues, such as exercise. It becomes clear that there are many ways we can help ourselves and that, in fact, the choices we make are more important than the choices we can’t make: our genetics. Enjoy your family and know that you are creating your own future health by your today choices. If we believe we are destined to a physical condition, that in itself is stressful. Last week I gave you links to several docuseries so if you have an auto-immune disease or diabetes, you could learn more information. Most people are too busy to watch all of these each night for 9 evenings, including myself. I wish I could see all of them, but life has other plans. A patient was in my office and I was telling her about the docuseries. She said, “oh, I know you will tell me if there is something I need to know.” If I know it, I will. But new things are being discovered all the time. I have listened some this week. This is the bottom line: you need to eat well. Most of my patients know what that means, but in case someone is reading this who isn’t my patient, I’ll remind you what that means. If it came off a tree, bush or from the ground, eat it. Eat food without added poisons (including sugar) or preservatives. Eat animals who roam freely and eat what is natural to the animal. In other words, if it was available 100 years ago, and is available now, eat it. That means eat real food. Give up processed foods. And eat organic as much as possible. Eat non-GMO. If you or someone you know is having health problems, do this for four months and re-evaluate your health. It WILL be better! How could it not be? The bottom line is pay attention to what you put in your mouth, how you chew, your stress levels, your bowels and your exercise. I felt like I was listening to myself: “you need to kill fungus, virus, bacteria, rid the body of parasites, and pull the heavy metals!” Well, honestly, it COULD have been me! Have a fabulous week of eating well! Cleaning the Body of Organisms! Most physical problems have some origins in organisms. Organisms are bacteria, virus, parasites and fungus. The origin of many problems is hidden by organisms as well as heavy metals. They just muck the picture up causing confusion. No matter what your complaint, clean your body out first. Then, and only then, can you see what your body is trying to tell you. If you decide to redecorate, you don’t go in with the decorator while your teenage children are having a dance party in the room. In fact, usually, you might wait a few years until they are out of the house. All is quiet. Now is the time to take your decorator into your room that needs a face lift and make plans for redecorating. While your body is carrying around bacteria, fungus, virus and parasites, you might not be able to understand the communication from your body. If you listened to the video series, “The Truth About Cancer,” most of the doctors interviewed mentioned the necessity of clearing the body of these organisms and heavy metals. It is a first step. In my way of thinking, keep the body clean on the inside, just like you do on the outside so there is little possibility of organisms creating all kinds of havoc that looks like pain syndromes and diseases. Even though heavy metals are not an organism, I also throw them into the pile that needs to be cleared from the body. 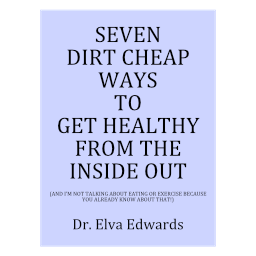 Then you can feel as clean on the inside as you do on the outside. When clean, there is less chance for your body going awry. And you might ask what about the good bacteria? The good bacteria grow exponentially when the bad bacteria and its equally undesirable friends are out of the picture. I work to keep people off of medications by cleaning the body on the inside. Come see me!